Home > Author Interview	> Introducing ‘5 Questions’ Interview Series – Calling On All Authors! Introducing ‘5 Questions’ Interview Series – Calling On All Authors! Hi all! 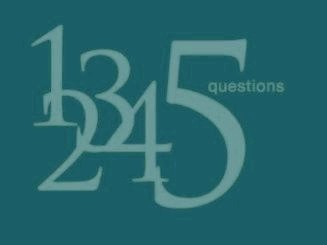 We’re starting a new feature on the blog – the ‘5 Questions‘ interview series – where we’ll have an author answer five quick questions! We welcome both published and indie authors. If you are interested in being a featured author on ‘5 Questions’, please take the time to answer this form! Or you can fill up the embedded form here for your convenience. Thank you! And readers, if you have any suggestions for authors to invite for the feature, please feel free to let us know!